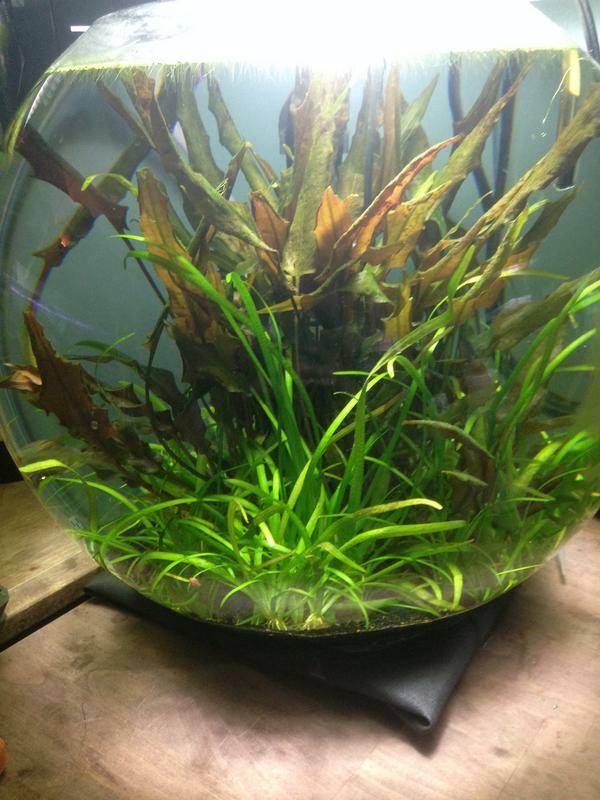 The Planted Tank Forum > General Planted Tank Forums > Planted Nano Tanks > Would you trust this to hold ~8 gallons? Its diameter is 16" and is 14" tall. Its capacity is about 8.7G. The glass is 1/8" thick. I'm planning on filling it to about 4" from the top and housing a beta and a couple of amanos, heavily planted. Am I being overly paranoid, or should this thing likely be fine to hold water, barring any hidden defects (of which I see none)? Attached are a couple of pics, one with a size 11 shoe on its left and a mason jar on the right for scale. Should be fine imo. Most are generally bought to hold water and flower arrangements etc. I’ve used similar smaller containers in the past with no issues. Just use care and common sense I suppose. You could always fill it and set it somewhere flood safe for a few days if you wanted. I have a bowl of your dimensions but its a 1/4". My 7g cube has glass that is 1/8" so I'd think it should be fine for holding water. I have a half gaint (aka pecto king) betta in my 8g jumbo bubble bowl he loves all the space! Side note: be careful adding betta with amano shrimp. I tried with one of my tanks-my elephant ear (aka dumbo) betta ripped them apart and guarded the corpse while eating it until I pulled it out. 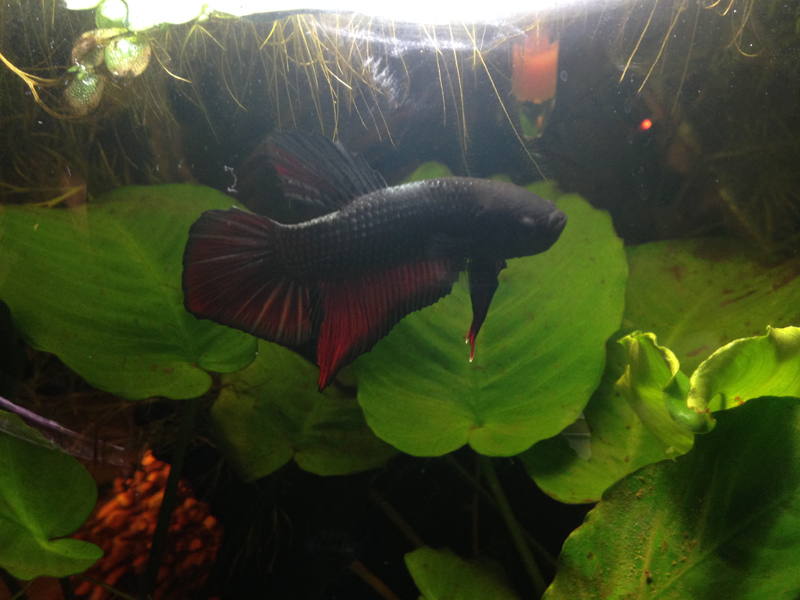 This was a slow long finned betta but it didn't stop him from getting the shrimp. Bettas are predators and just because the amano is as big as them (minus the tail fin) doesn't make them safe. Thanks for the heads up, I'll proceed with caution. What are you using for light? Originally I was going to use a lamp and ~13W CFL, but I prefer LED and a slow sunrise/sunset. The sudden lights on or off is pretty brutal. I've been looking for timed dimmers that can control lights, not sure what's on the market though. I tried to make an orb work at one point and found it was too difficult for what I wanted. The shape is BAD! one biggie was that there is a very limited amount of water surface, leaving the gas exchange very low so my fish stocking had to be very limited. That may fit for the betta but then the second comes up. The curve is something that made it a nightmare to clean long term as my arm would not bend the right way to clean and scrub the glass. I needed lots of water movement but almost any was too much! I would not see any problem with breaking as glass has great strength as it will not stretch but it is brittle. Somewhat like a brick wall? It will support a lot of weight but falls over easy in a tornado! It was the overall "nuisance" that did me in. 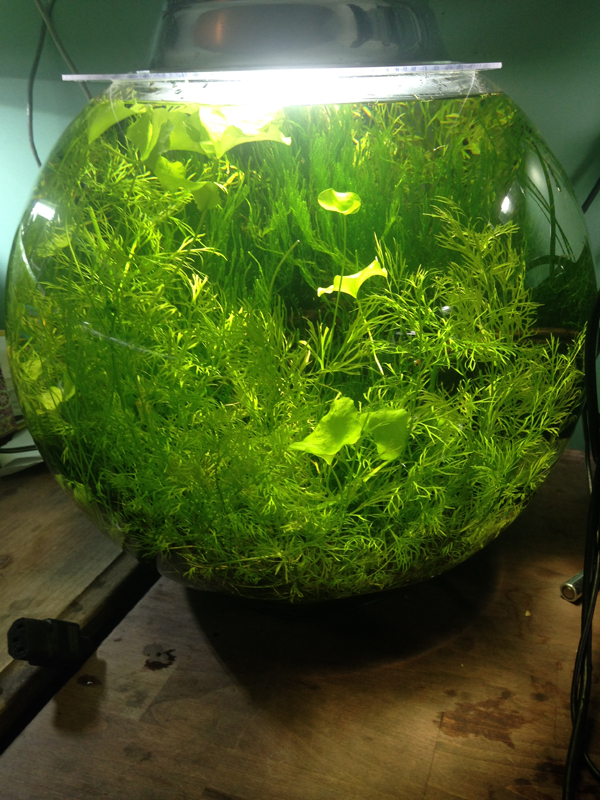 I have the 13 watt cfl in clamp lamp for a light-works fine for medium to low light plants. Can't offer any help with dimmers. I agree its brutal going from bright to dark especially since these are on my desk (have a 7g cube too) and my main light when on. I'll take some shots from today-tank is in transition period so not pretty, also dig up some old photos from previous half giant betta. 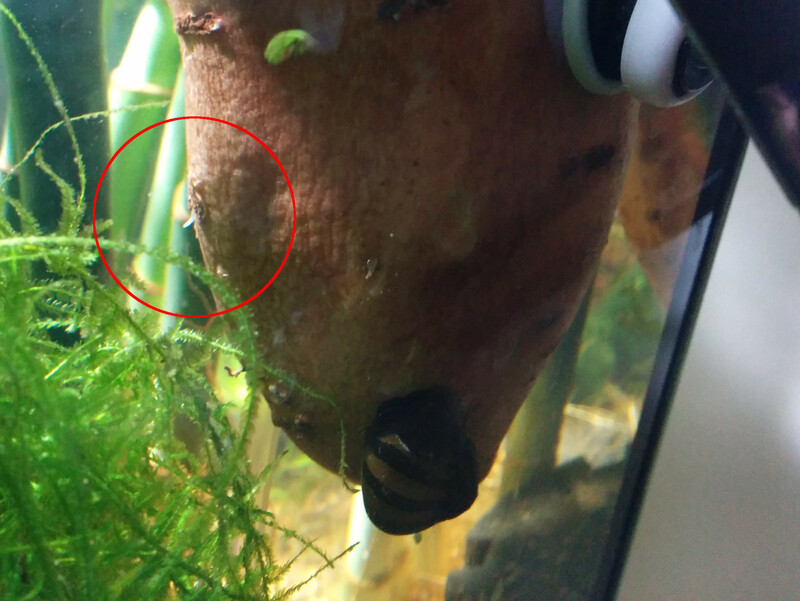 Currently just have some big anubias wrinkle leaf and floaters along with a big piece of wood (hiding equipment). 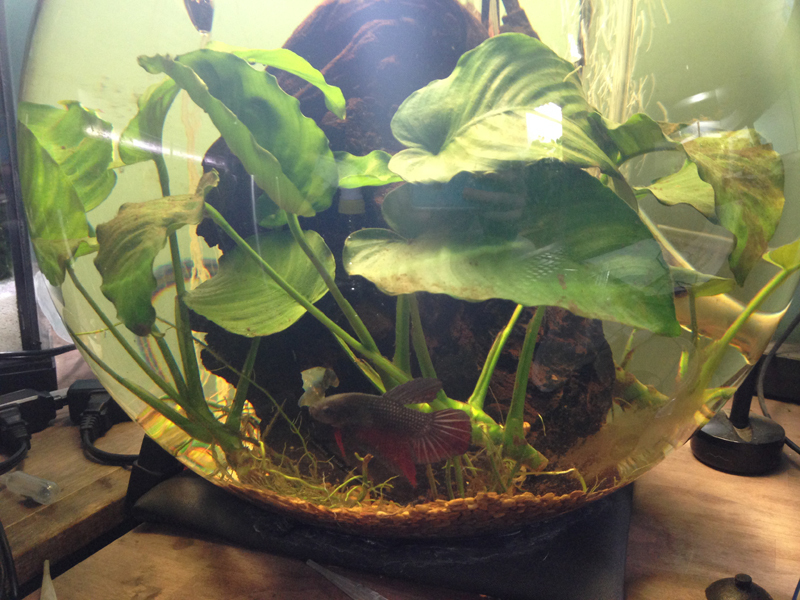 Anubias will get moved to a vivarium in the spring. Not sure what I want to put in there next.. 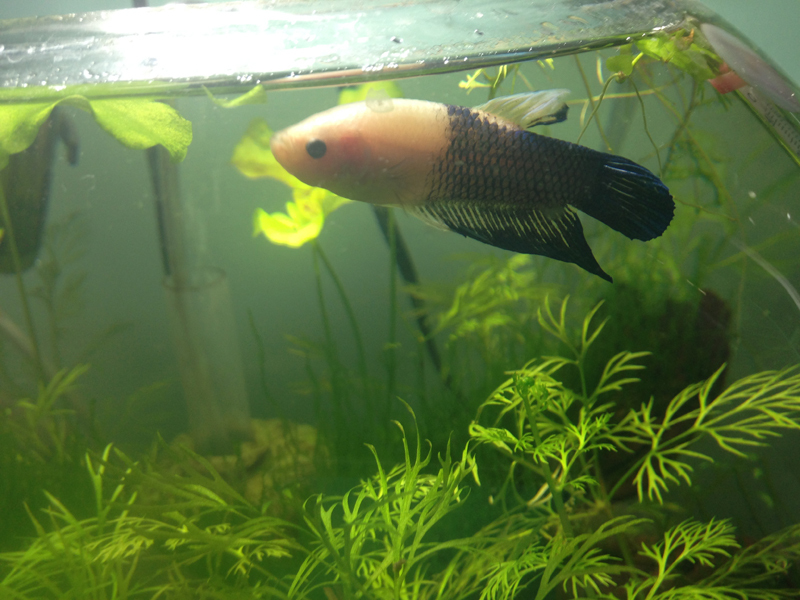 This is Titan, hes' supposedly a half giant but so big and not full grown yet I think he may turn out to be a true giant betta. About a year ago same tank, André still in there with big crypts and sag. 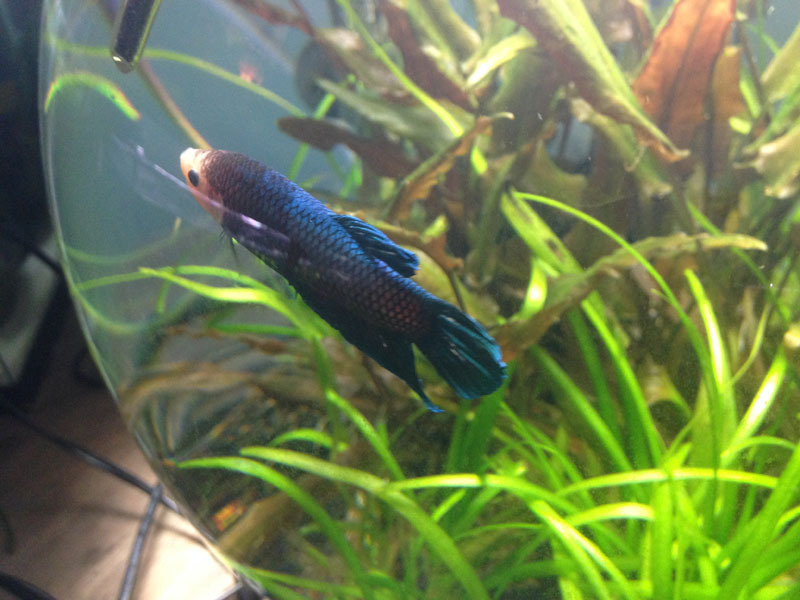 he as a marble gene betta so blue/black took over the white/flesh color of his body and fins. Beautiful! I'm thinking of something similar to your more heavily planted version. Likely some dwarf hairgrass, a mossball, a bit of wood, a couple of nerites. Good choice about moving the anubias, I don't think they pull a lot of nutrients. I have 5 relatively tall "lucky bamboo" shoots with lots of roots in a quarantine tank. Yesterday nitrates were between 20 and 50, and today about 5. Will start a sweet potato at the top of that one this week. 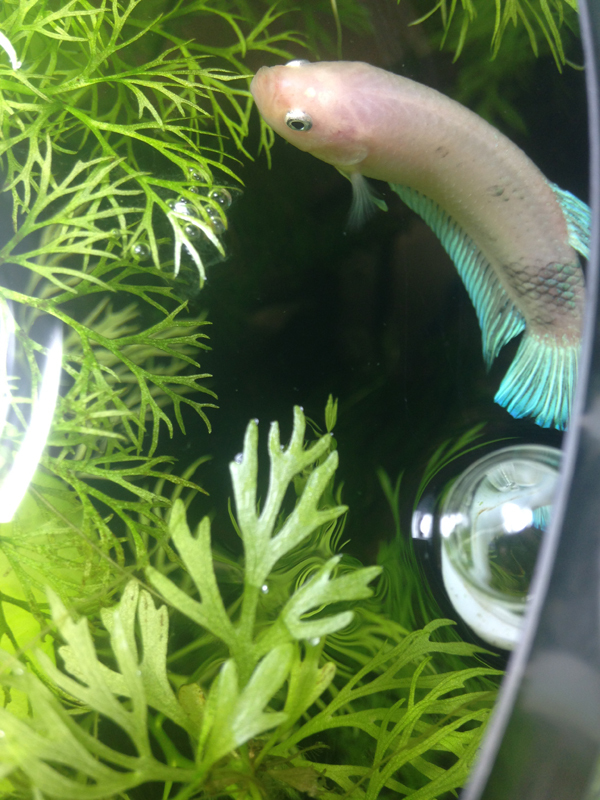 I've never had a Betta, but looking forward to it. Water is pretty hard here, over 7.5, but with peat in the organic potting mix, I'm hoping that'll lower. Thanks for taking the pics, really nice. The non wild type bettas (what you find in stores veiltail crowntail, plakat, halfmoon, doubletail, etc) are very durable to a wide range of water params. I personally do nothing to lower pH or hardness in my water, don't want to risk getting the additives wrong and throwing pH/hardness way off which can do more harm to the fish with sudden swing in params. You saw the sweet potato wild betta video? Any terrestrial plant (except cacti and some species that really need to let roots air out) do well with just roots in water-most house plants work great. You can look up "aquaponics" to see a huge variety of herbs and veggies that work well too. As your sweet potato grows stems if you want baby sweet potatoes set up a box with leaf litter and push a stem in. CharleeFoxtrot and Cinnamonamon like this. I love watching these videos of Kartoffel. Great, relaxing and inspirational channel. Have you succumbed to the pleasure of Multiple Tank Syndrome? I feel your pain! I have a couple of organic sweet potatoes at the top of a 5 gallon. I look for signs of roots 2 or 3 times a day. OCD much? I find myself wondering what else one could use? I sifted Nature's Best organic potting mix through a colander and added a bit more than 1' dry to the bowl. 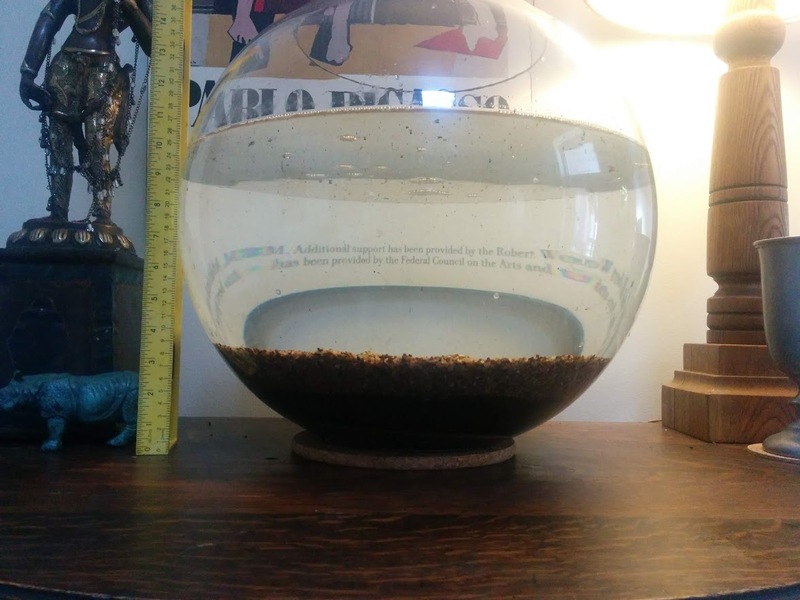 Soaked it overnight and netted out the floating perlite and bits of what I assume were fine particles of peat that didn't want to sink. Maybe 1C of sludge. I added in 2 cups of Langa aquarium soil (similar to ADA Aquasoil) for a bit of clay (albeit an expensive source for just the clay). This brought the depth of soil above 1.5" in the middle, but I'm hoping that since it's coarse and porous that I'm within safe depth limits to avoid anaerobic activity. Also, the bottom of the bowl is only 8" wide, whereas the full diameter is 16". Covered it with 1.5" of 2mm-3mm diameter gravel (CaribSea Naturals Peace River). @Pythos No root action yet from the sweet potatoes. I think I put them in there 4 days ago. Only thing happening so far is one of the nerites like sleeping on the glass behind one of them. I used a regular sweet potato and a purple one. Will be interesting to see which one wins the leaf and root competition, but I guess that might might come down to how many eyes they have etc. I wonder if the leaves will be different colours.